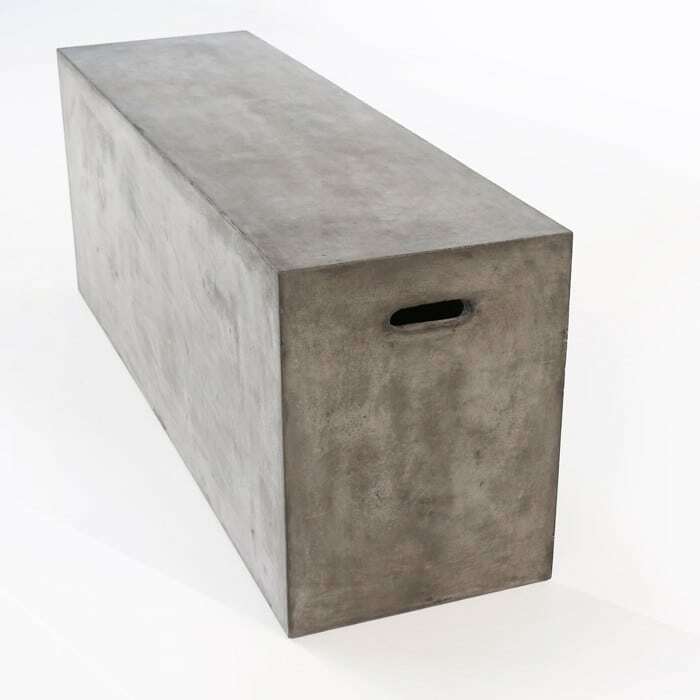 The stunning and innovative Blok Concrete Letter Box Bench will bring a modern vibe to any outdoor dining table, garden or patio. This versatile bench is a nod to our Letter Box side table. The sleek design and functioning handles make this a statement piece that will be sure to make an impact in your outdoor space. 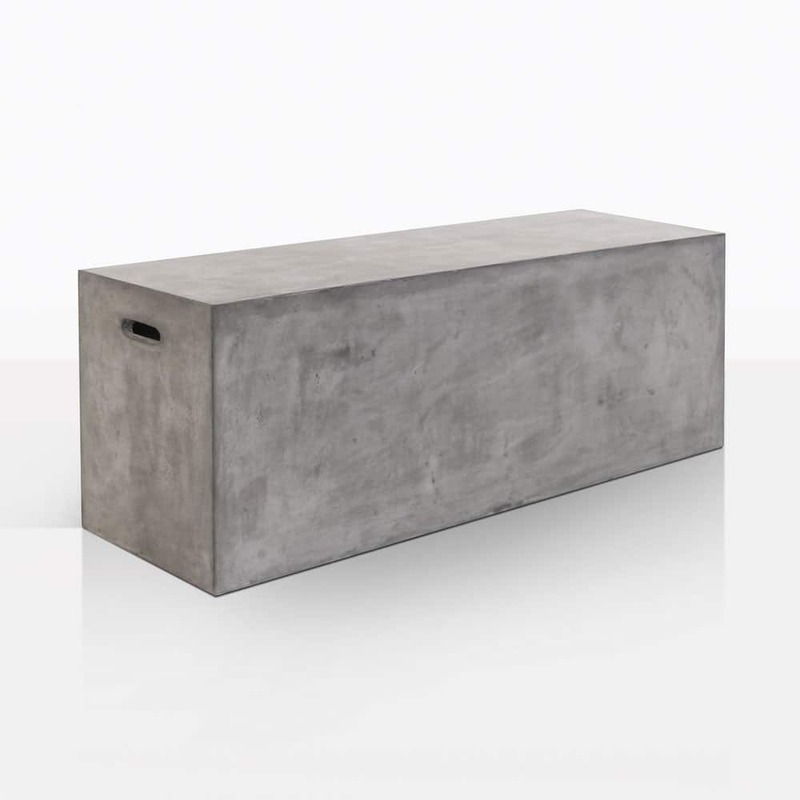 One of the most exciting traits of our Blok Concrete Letter Box Bench is that is will compliment many different styles of outdoor dining tables. Mixing furniture made with different materials adds a unique look and allows you to style your patio any way you like. 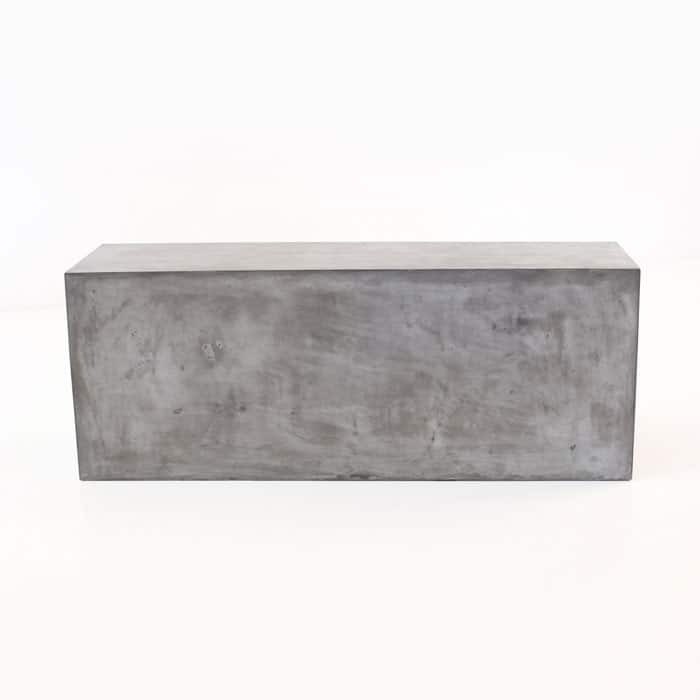 Imagine a rustic reclaimed teak dining table with this concrete dining bench. The earthy colours will compliment each other. Or line up multiple benches to create a long seating area and add some throw pillows for a pop of colour. It can double as a coffee table. The more possibilities the better! 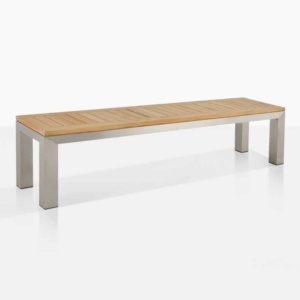 Design Warehouse has over 35 different styles of benches made with either a-grade teak, reclaimed teak, 316 stainless steel and raw concrete. If you have a smaller patio, outdoor benches are a great way to add more seating space. The also add a more casual look to outdoor dining tables.